“Greetings, favored one!” announced the angel Gabriel to Rev. Smith today after appearing unexpectedly in his living room. “Do not be afraid, Brendan, for you have found favor with God. You will become pregnant and give birth to a daughter, and shall name her Anna” “How can this be,” Brendan asked the angel, “since I’m, like, a dude?” The angel answered, “The Holy Spirit will come upon you, and the power of the Highest will overshadow you. So the holy one to be born will be called the Daughter of God.” Smith slowly backed away from the angel, fumbled for his cell phone and began to dial 911. 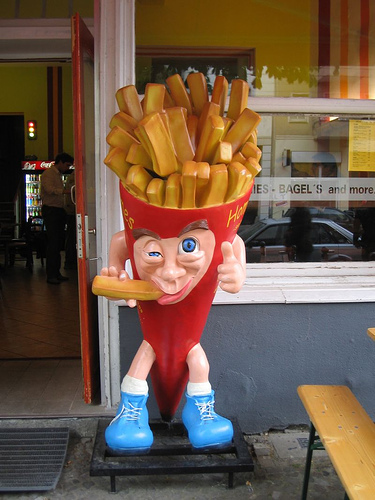 In what has become an alarming trend across North America, giant anthropomorphic fast food items have come to life and are eating themselves. 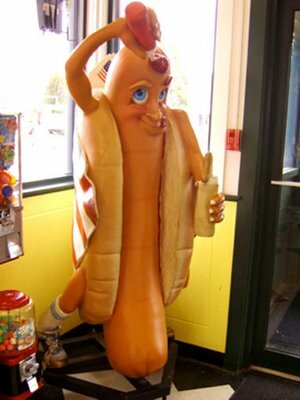 On San Francisco’s Pier 39 last week, a giant hot dog was seen squirting its own forehead with ketchup after giving itself eyebrows made of ketchup and mustard. Then today in Vancouver, British Columbia, a giant order of french fries was spotted consuming itself openly in public, causing panicked parents to flee with their terrified children in tow. 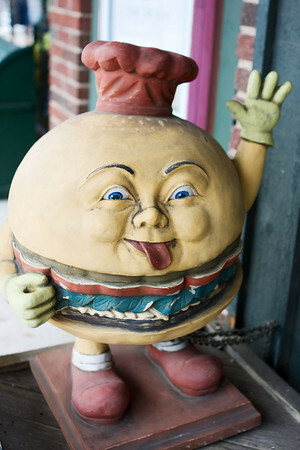 Local authorities are also keeping an eye on a grotesquely anthropomorphic hamburger in Muncie, IN, that has taken to wearing a chef’s hat and is displaying what psychologists term “self-consumptive gestures”.